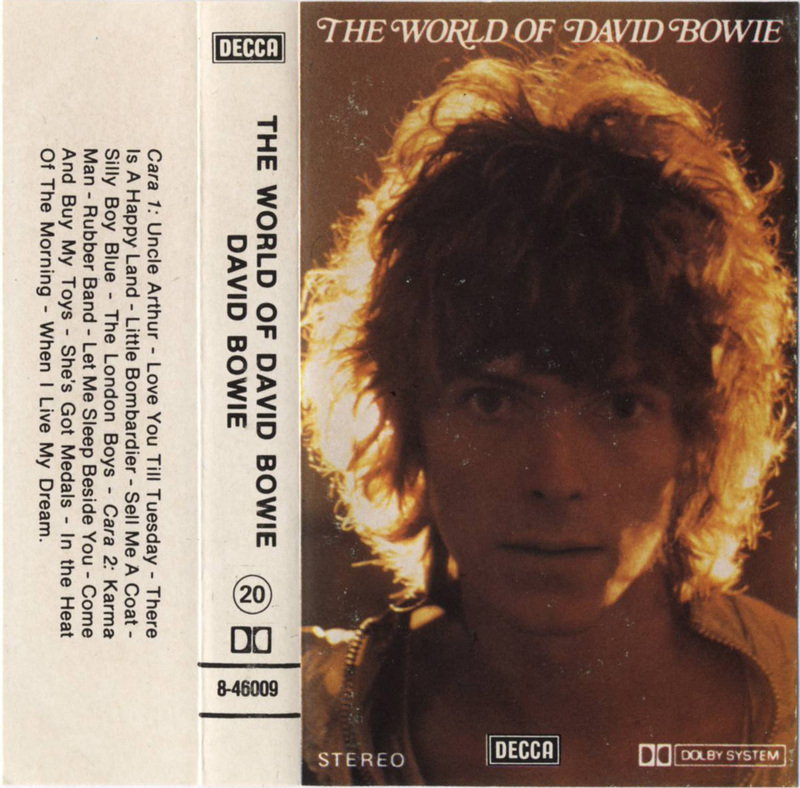 The World Of David Bowie: Spain; Decca, 8-46009; 1985. 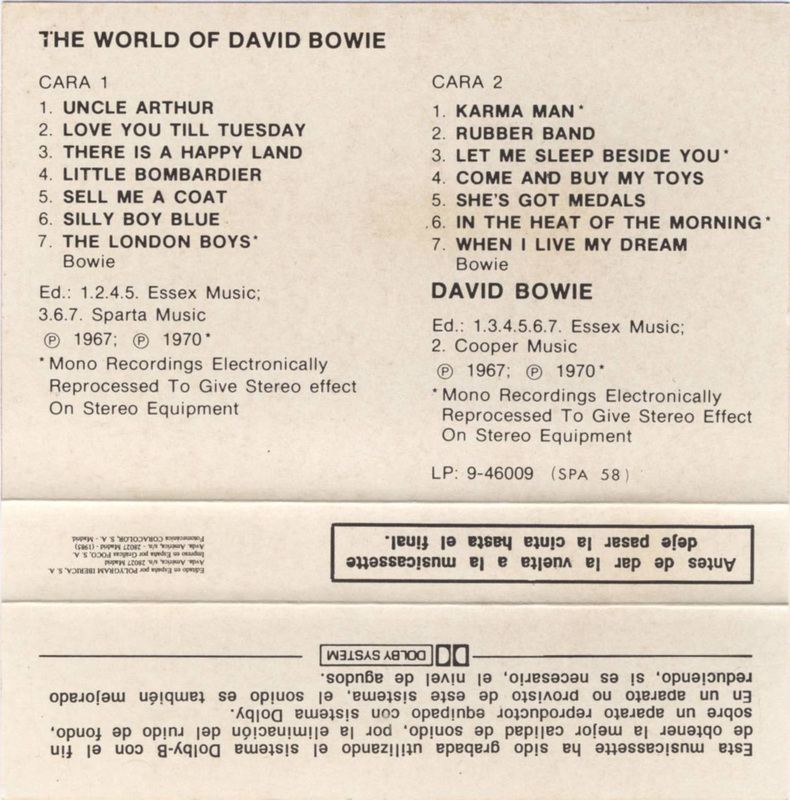 Full panel cover photograph; white spine and rear half-panel, white inside panels with track list on rear and inside panels and information in Spanish. White ink on black paper label onto grey shell; SGAE rights, information in Spanish, date on inner spine. 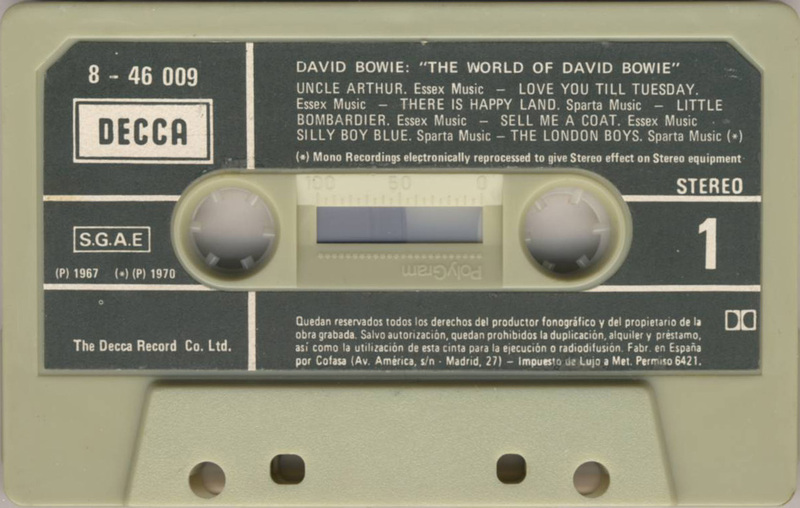 Side 1: Uncle Arthur; Love You Till Tuesday; There Is A Happy Land; Little Bombardier; Sell Me A Coat; Silly Boy Blue; The London Boys. 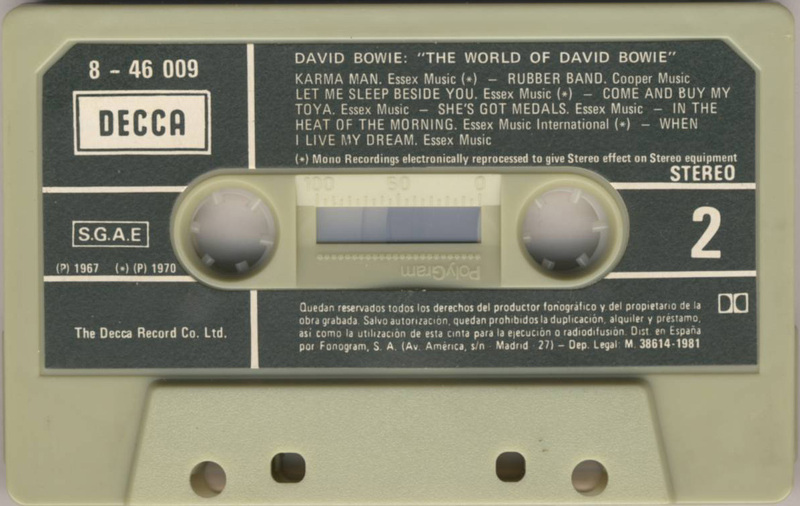 Side 2: Karma Man; Rubber Band; Let Me Sleep Beside You; Come And Buy My Toys; She’s Got Medals; In The Heat Of The Morning; When I Live My Dream. Photographs courtesy of Maarten Kwant.